You do NOT need a login or password to order. You can choose materials, inches or millimeters, fitting options and more to customize each item. As you add more items, the calculator will also tell you the Estimated Time to Dispatch as a production guide so that you can plan your projects. 2. Fill in your Shipping Label details.3. The Upload Summary appears allowing you match your artwork designs with your order. Upload Summary screen allows you to match your artwork design with your line item. There is also another video titled: How to Upload. Its a very good one. Using this system your printing begins automatically and you can track as your order moves around the factory and to your door. 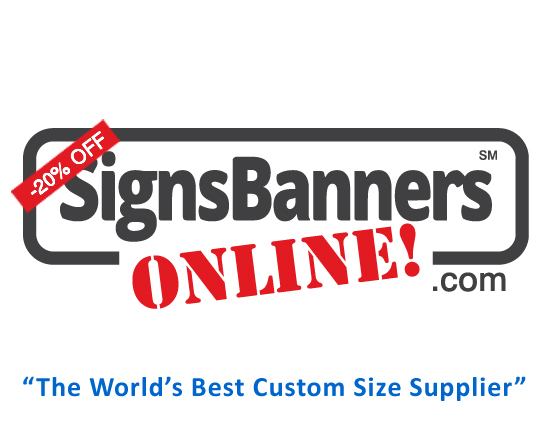 Signs Banners Online dot com are excellent and have many support features for graphic design and wholesale digital printing supplies. There is also great information in repeated form here Step by Step and key images to help you get it perfect.